As Canadians, two separate federal privacy laws protect our privacy. These laws govern the information that businesses can collect on other Canadians, as well as how organizations must manage and protect that data. As of January 1, 2004, PIPEDA applies to every organization that collects, uses or discloses personal information in the course of commercial activities. However, the federal government may offer an exemption organizations and/or activities in provinces deemed to have adopted substantially similar privacy legislation (more on this later). What is the ‘Personal Information Protection and Electronic Documents Act’? The Personal Information Protection and Electronic Documents Act is a Canadian law that relates to data privacy. PIPEDA governs how private and public sector organizations collect, use and disclose personal information in the course of commercial business. PIPEDA, in plain english, states that once an organization collects data, regardless of the province, industry, or the type, that the organization is now fully accountable and responsible for the protection of said data. Is my organization required to keep our data in Canada? PIPEDA, at the federal level, does not require all Canadian organizations to keep data in Canada. However, depending on which province your business is located in, if your business operates in the private or public sector and which industry your business works in, you could potentially be required to keep data within Canadian borders. For example, a public sector commercial medical research company in Nova Scotia will almost certainly be required to keep Personally Identifiable Information (PII) data in Canada (under the NS Personal Information International Disclosure Act ), while a real estate agent in Manitoba would be free to store their data across borders. Regardless of where your data might be stored, at the end of the day, each federal and provincial privacy act is very clear. Once an organization collects sensitive data, that organization is then 100% responsible for the protection and security of that data, and it is up to the each individual organization to fully understand the rules. What specific data is protected under PIPEDA? Are the privacy laws the same in every province? PIPEDA is a federal act; however, the federal government may exempt organizations and/or activities in specific provinces deemed to have adopted substantially similar privacy legislation. – 24 Bill No. 19—the Nova Scotia Personal Information International Disclosure Protection Act, 2006, § 5(1). Nova Scotia followed British Columbia in 2006 with its Personal Information International Disclosure Protection Act, which includes similar requirements. How will Privacy Laws affect my decision on cloud providers? PIPEDA sets forth that when an organization collects sensitive data, that organization is now fully accountable and responsible for that data. Therefore, it is up to you, the organization, to be certain that the cloud provider you choose meets stringent criteria and allows your organization to be privacy compliant. Where, geographically, will the data be stored? If the data is hosted outside of Canada, does it now fall under that government’s laws and regulations? If the data is stored outside of your Canada, am I still in compliance? Has the potential cloud provider been involved in “Findings under PIPEDA” by the office of the Privacy Commissioner? What security measures are in place to protect data – both physically and digitally? Security cameras on site at the data centers, secured access, etc. Will any cloud employees potentially have access to my data? Do they have the proper government clearance? What happens to the data once the contract with the cloud provider is terminated / void? Is the data destroyed? How is it destroyed? Is the cloud provider a Canadian Corporation? Can the cloud provider provide written proof that all data resides in Canada? Can a cloud provider or data center be PIPEDA certified? At this time, no, a cloud provider cannot be PIPEDA certified. 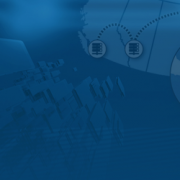 However – A Canadian data center might help your company stay within PIPEDA compliance. What are the risks/potential punishments of not staying PIPEDA compliant? 28. Every person who knowingly contravenes subsection 8(8) or 27.1(1) or who obstructs the Commissioner or the Commissioner’s delegate in the investigation of a complaint or in conducting an audit is guilty of(a) an offence punishable on summary conviction and liable to a fine not exceeding $10,000; or(b) an indictable offence and liable to a fine not exceeding $100,000. I belong to industry X in province X, where can I safely and legally store my data? Learn more about Server Cloud Canada's focus on privacy law compliance.